This post is sponsored by iConnect Influencer Management and Kelley Blue Book. While travel expenses were provided, all opinions remain my own. 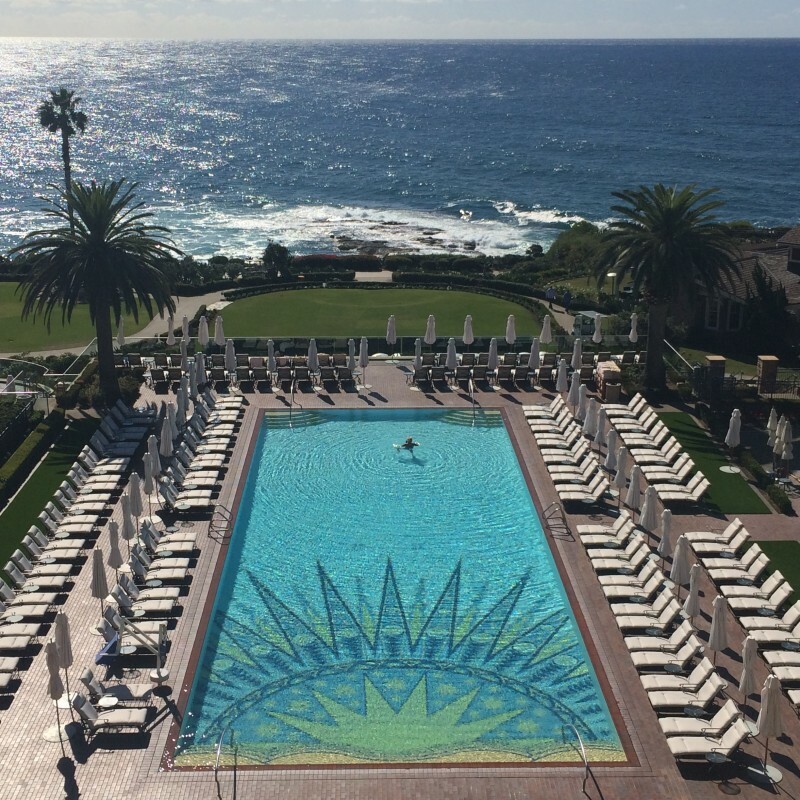 I had a great time in California a couple of weeks ago, and I am so excited to bring back all the great information I absorbed while there. I learned how to evaluate a car the way the Kelley Blue Book Team does it for their Best Buy Awards, and I also learned about the winners of their 2015 Best Buy Awards. My trip was amazing. Just to recap, I was invited by Kelley Blue Book to Learn more about them and their team, the Best Buy Awards and to see some of the top picks on their list. Irvine, California is a beautiful place and being able to drive cars in such a scenic location was truly heaven. The team at KBB were so kind and forthright with what they stood for in their content. They provide honest feedback on the vehicles out there so that the average car driver can make the best choice when selecting their vehicles. As the owner of a content site, I could understand their plight and was impressed in the level of integrity this company had when they do their reviews. I learned a little about the history of KBB which made them even more interesting to me. They started off as a family owned dealership group in California and was well known for creating a book of information about the cars they were interested in buying, mostly on the B2B side. They made their information available to consumers in the 90’s and have been a trusted resource for consumers ever since. Fast forward to today, Kelley Blue Book created the Best Buy Awards in 2014 to select which cars have the best overall value to consumers. After learning more about the KBB team we were able to do some test driving. The future is here! No stick, just buttons. Lane keeping Assists- It focuses on the lines on the road and makes sure you don’t swerve out of the lines. These were just a few, but I was blown away with how many options you can get in a car now. There are so many factors to consider! It amazes me that anyone can make the right choice on a car without feeling like you’ve missed out on something else. I could understand why consumers need something as important as the Kelley Blue Book Best Buy Awards. 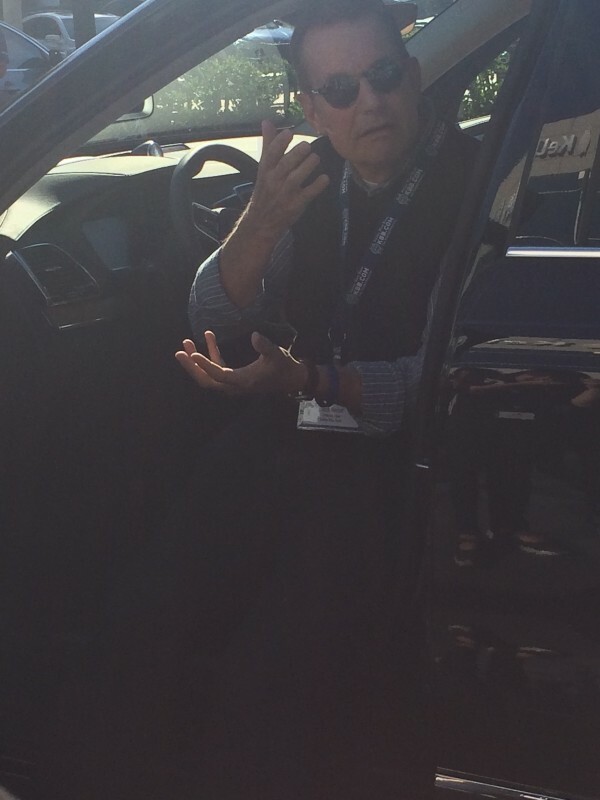 During our trip, we had the honor to be shown how to assess a vehicle by Jack Nerad, theVP, Exec Editorial Director at Kelley Blue Book. He showed us step by step what he does when he evaluates a vehicle. He gave us the main items they look for in every car before letting us know what he looks for personally. These all sound nice, but I was itching to know how all those items relate to the consumer. Then Jack began to show us his way of evaluating the vehicles. He started by getting in the driver’s seat and immediately adjusting the seat to his comfort level. He makes sure to see how long this takes and how easy or difficult it is to get adjusted. He syncs his phone to the vehicle and also makes sure to notate how long that takes. He made his way to every seat of the car to see how comfortable it is, even the back middle seat and evaluates things like leg room, cup holders, USB ports, coat hooks, movie player and even gets in the 3rd row if there is one. After checking out all the seats he then makes his way to the trunk space to see the cargo, lift the seats in the back to see how easy or difficult it is to do. The KBB Team even had a set of car seats to add tot he back seats to see how the easy or difficult it was to add them. Something Jack said that stood out to me in regards to evaluating a vehicle on your own is that they spend just as much time static (aka sitting in the car touching the stuff) as they do drive it on the road. Five years from now people will not care about the aesthetics of their vehicle, but most people would still want it to be functional and comfortable to use inside. As simple as that sounds, I think we put so much emphasis on how a vehicle “drives” when we test drive vehicles at dealerships, that we do not spend hardly as much time inside the car and getting an idea of how everything works. These are the things that will matter to us most down the road so why not spend a little more time in the vehicle? He also mentioned that the best way to be able to see how one car is compared to another is to drive them back to back. This way you can remember all of the little features here and there that you liked and did not like. I would’ve never thought I would like a Honda over an Acura, but driving the two cars back to back made me see the differences between the two cars. Jack told us about his driving process as well and said that he did more than just drive the car down the street and back. He drives it to a tight parking spot and sees how difficult it is to pull in and park. He also makes a point to take a look at the outside of the vehicle to see how close the fits are. The design of the car is conceptual, so they try to stay away from judgments on that feature. I have to say that after seeing Jack’s presentation I was blown away at how important it is to evaluate your vehicle on your lifestyle and tink about what you’ll be hauling around rather it be a tent, a baby, or furniture. Testing for all of those factors is good. So you may not want to bring a baby car seat to the dealership with you, so that is why you can trust that the KBB team knows their stuff. That is why I think the Best Buy Awards are a valuable way to learn more about the best cars out there. On top of the evaluation process I mentioned above, they also rate the vehicles based on the average cost of the car over the course of 5 years. You can see the winners of the KBB Best Buy Awards Below. 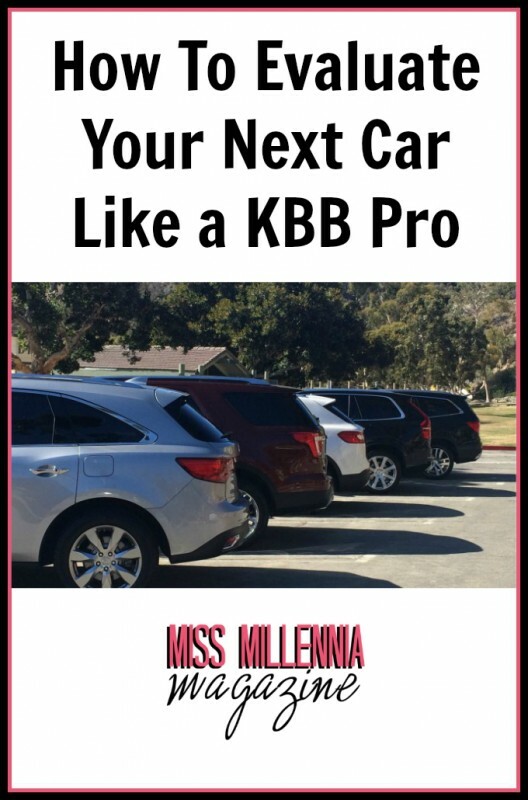 If you want to learn more about the Kelley Blue Book Awards and their evaluation process, please go to KBB.com. Good luck on Your auto purchases!